Braun Classics coffee maker is especially designed for those who wants a machine that is simple to operate and can give them a cup of quality coffee. 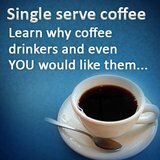 They are designed to satisfy the urge of people on drinking coffee. The truth is this machine is very popular because of its very simple and basic features. You will never find difficulty when it operates it. Its RapidBrew™ system heat up the water quickly. Moreover, it assures you a thorough and swift extraction of coffee grounds in an optimal temperature for an excellent coffee aroma. 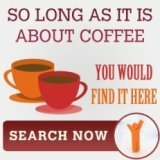 If you are into coffee, you would want to be able to brew the best gourmet coffee. 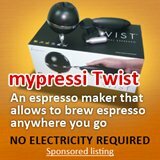 This feature enables you to adjust or to fine-tune the flavor of the coffee according to your taste. You can change it from strong to mild, or vice versa. Whatever flavor you choose, the machine will greatly deliver you a superb aromatic coffee. The water you use on brewing your coffee has a big impact on the flavor of your coffee. As we all know, tap water are has chlorine and any other foreign substances. So, Braun Classics has a Brita water filtration system that will prevent calcifications and lessens chlorine which destroys the aroma of the coffee. Thus, it help the coffee preserve its seductive and full aroma when brewing. Its thermal carafe can handle 8 cups of coffee. The carafe has a double-wall vacuum structure that helps the coffee to maintain its hotness and freshness for a period of time. It also prevents the aroma of the coffee from escaping. In addition, the carafe is designed to have an open handle to make you pour your coffee with convenience and easily. The soft-touch material and its ergonomic shape offer a handling and safety comfort needed for pouring your coffee. This feature enables you not to wait for the brewing process to end. You just have to get the carafe and pour the coffee in your cup. You don’t have to worry about spilling because the machine will automatically stop once you remove the carafe. Its auto shut off will lessen and even not allow you to worry when you forgot to turn off the machine. As soon as the coffee maker completes its brewing process, it will then automatically turn off. These are some of the features of Braun Classics, an example would be the braun kf580. 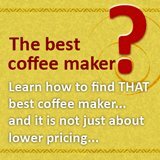 So, if you are looking for a simple way to make your own coffee at home or even at the office or even at your office, this coffee maker can be an excellent choice to consider.